Narthanasala has grabbed all the attention since its inception, mainly over the plot and title of the film. Young and handsome actor Naga Shaurya, who scored a hit with ‘Chalo’, is all set for the release of his forthcoming film Narthanasala in the direction of Srinivasa Chakravarthy. The film has grabbed all the attention since its inception, mainly over the plot and title of the film. The title has been borrowed from late N.T. Rama Rao’s film with the same name, from 1963. The makers of the film have currently geared up to finish the last leg of the shoot. 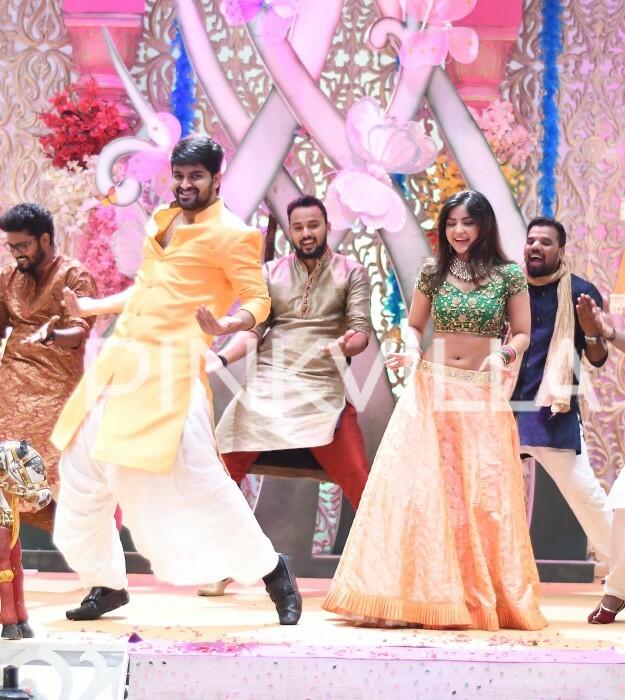 Here’s are some pictures from the sets of Narthanasala that see leads stars Kashmira Paradeshi and Naga Shaurya filming for a song.